The country’s hardline approach to protests could derail its campaigns for the Olympics and UN Security Council. As 2015 begins, Kazakhstan has begun ramping up a pair of international campaigns in earnest. The first, which has thus far gained the most coverage, aims at landing the 2022 Winter Olympics, pitting Kazakhstan against Beijing, host of the 2008 Summer Games. The second, however, may be just as important in certain circles: landing a seat as the first Central Asian representative no the United Nations Security Council. Astana has already gone to concerted lengths to pitch its candidacy – ministers sitting down for rare full-length interviews; pieces touting Kazakhstan’s UNSC merits within certain outlets linked to those pushing Astana’s PR machine – and may well have a better chance of landing the seat than the Games. But if a recent visit from UN Special Rapporteur Maina Kiai is any indication, the UN body may well view Kazakhstan’s candidacy with a degree of skepticism. 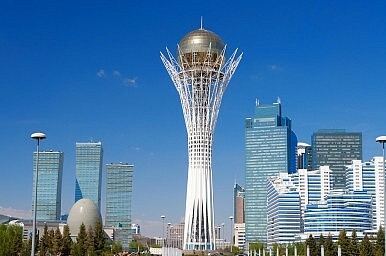 Instead of the rosy, improved light Kazakhstan may have been hoping to find within the rapporteur’s write-up, Kiai spent the bulk of his assessment detailing the surveillance to which he and interviewees were subjected, as well as slamming Kazakhstan’s recent clamp-down on peaceful protests. Kazakhstan certainly didn’t help its case by enacting wide-scale arrests of protesters during Kiai’s visit, among them a Kazakh editor who was on a hunger strike to protest the country’s media repression. While in Aktau city, I held a meeting with members of civil society on 23 January 2014. As we left the meeting venue, I learned that unknown persons, sitting in the back seat of a vehicle parked directly facing the entrance of the venue, were taking photographs of individuals leaving the building. They also took photographs of my driver. All this was done using equipment, and in a manner commonly associated with secret police surveillance. I approached the men and demanded to know who they were and the purpose in taking the photographs; they then hurriedly drove off without responding. I made a formal complaint to the Head of the Mangistau oblast Interior Department and provided details of the incident. I was assured that full investigations would be made. Prior to leaving Aktau on 24 January 2014, I received word that a suspect had been apprehended. I met with this person at Aktau airport but he is not the person I confronted in the parking lot. I am deeply disturbed at this incident, but more so at the subsequent handling of the issue by the authorities in Aktau. They identified the wrong person, including presenting a “confession” purportedly written by this person. I am concerned that the handling of this incident is indicative of a general unwillingness to properly protect human rights in the country, and of a sense of impunity by some officials. I believe that the local authorities know who was taking the pictures of the people leaving the meeting, and that this incident was calculated to instill fear and intimidation. Rather than faulty confessions and shoddy surveillance, however, Kiai’s main focus centered on Kazakhstan’s allowance – or disallowance, as it were – of public protest. In addition to the clampdown experienced during Kiai’s recent visit, the country has seen a discernible backslide in freedom of assembly, which the special rapporteur noted in his write-up. Rather than simply point to generic claims of hooliganism or potential threat to public safety, however, Kiai found officials claiming that the clampdown stemmed from a specific precursor: Ukraine. As Kiai wrote, “Various government officials that I met with mentioned the necessity of limiting peaceful assembly for fear of a revolution such as the recent Maidan events in Ukraine. While I understand the significant challenges that facilitating an assembly as large as Maidan may pose, I do not accept this as a legitimate ground for restricting the right. The circumstances in Ukraine were vastly different from those prevailing in Kazakhstan, which has a government that enjoys significant popular legitimacy and approval.” Indeed, considering the wide legitimacy the current regime enjoys – though the recent economic crunch may drain certain support – the likelihood of some form of Kazakh Maidan remains close to nil. Kiai’s document stands as a remarkable reflection of Kazakhstan’s recent rights backslide. Unfortunately, it remains unlikely the swath of the Kazakh population has any idea of Kiai’s assessments, with local press whitewashing the rapporteurs’ assessment. And whether this will be enough to staunch support for Kazakhstan’s UNSC candidacy remains to be seen. Three years in a penal colony for calling Putin a fascist; no wonder no one insults Nazarbayev.